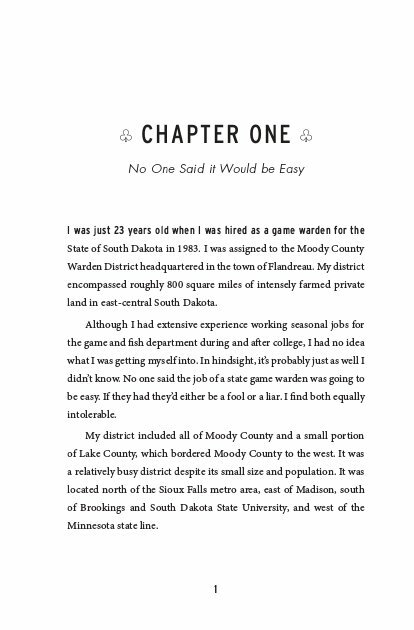 Part 1 chronicles my first seven years as a state game warden. 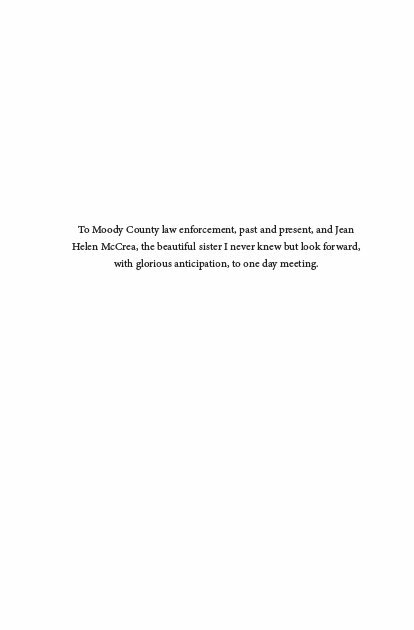 I was assigned to the Moody County Warden District in 1983. 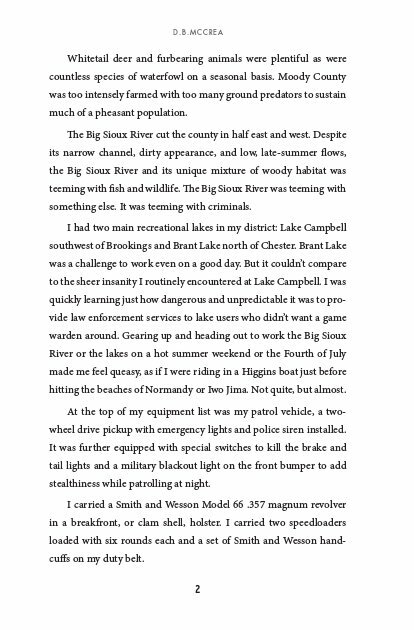 I was only 23 years old and had accepted the assignment knowing my district had been without a game warden living and working within its boundaries for 25 years. 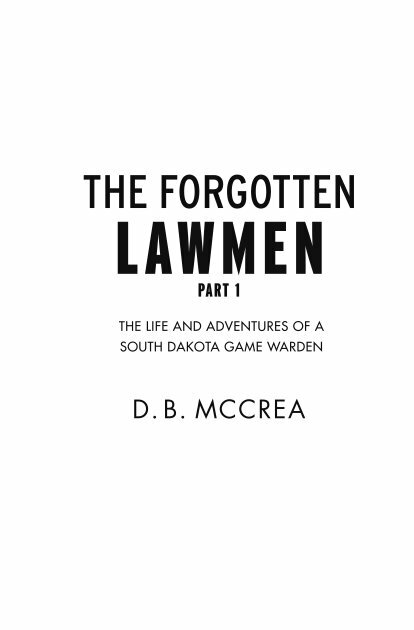 I was entertaining a lion's den of thieving, dangerous poachers who had grown accustomed to poaching with imputiny. I intended to change that mindset, and I eventually did. But the journey came with a very steep personal cost. I had to fight for communal acceptance almost as much as I had to fight the poachers. My first three years were fraught with vicious rumors. I had to overcome the rumors by going to work each day and slowly but surely earn the trust of the public. I did finally earn their trust. 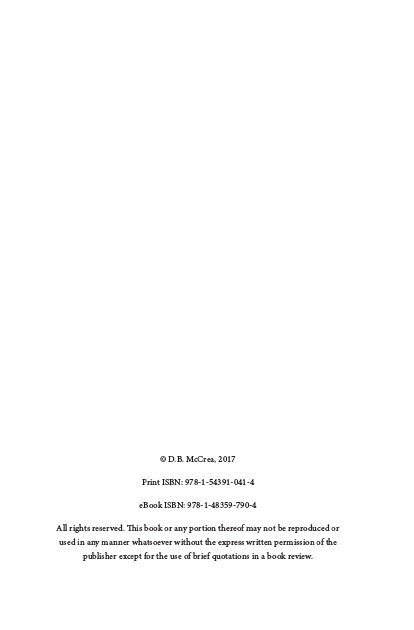 The story is scary, funny, dark, sad, and joyful. 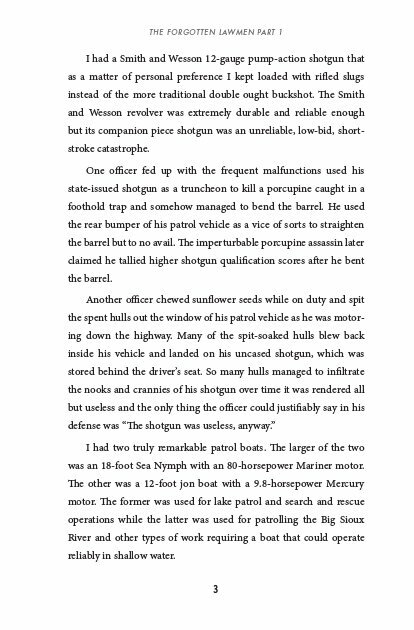 It will bring the reader's emotions to the surface and help them better understand, and appreciate, the game warden profession! 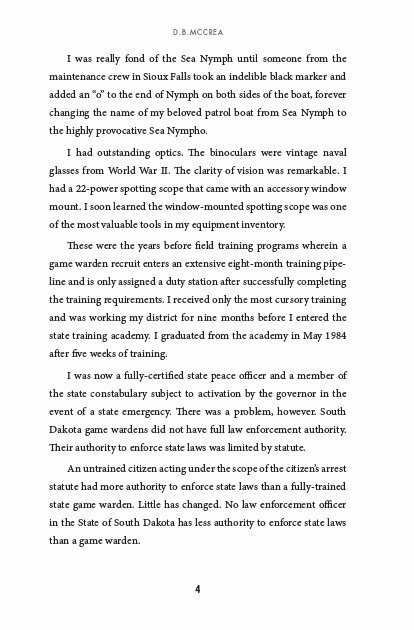 Served as a South Dakota Game Warden from 1983-2006.